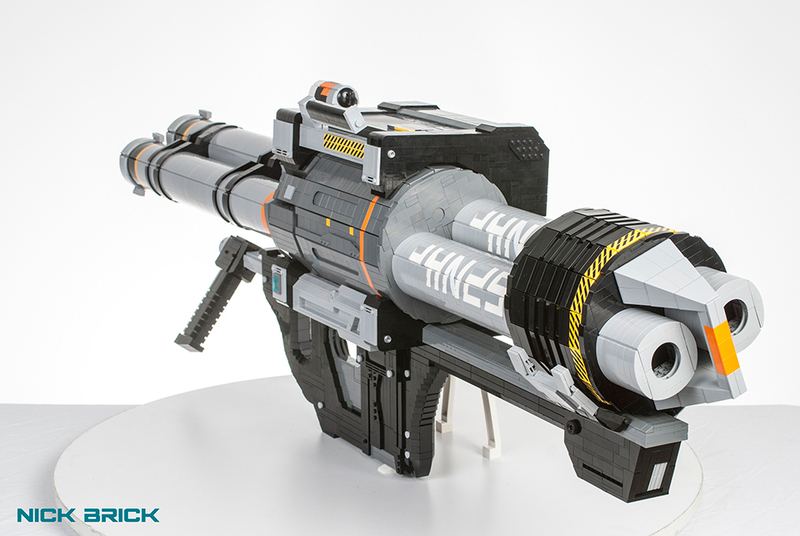 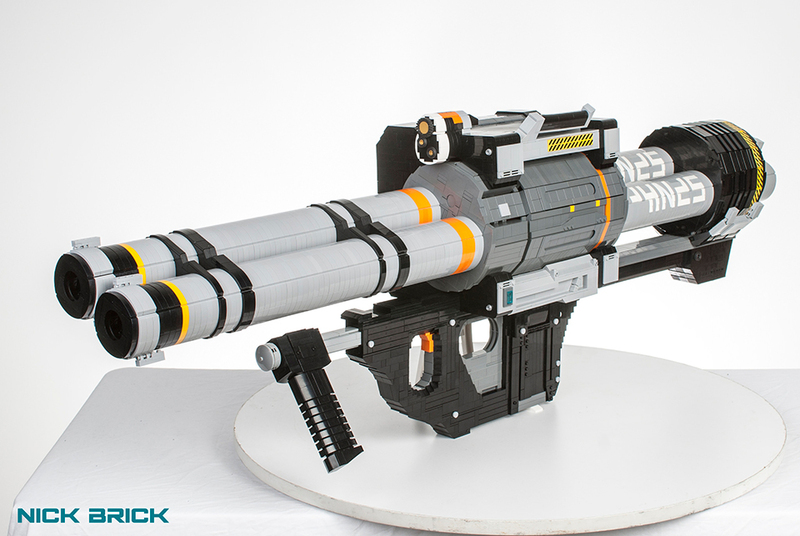 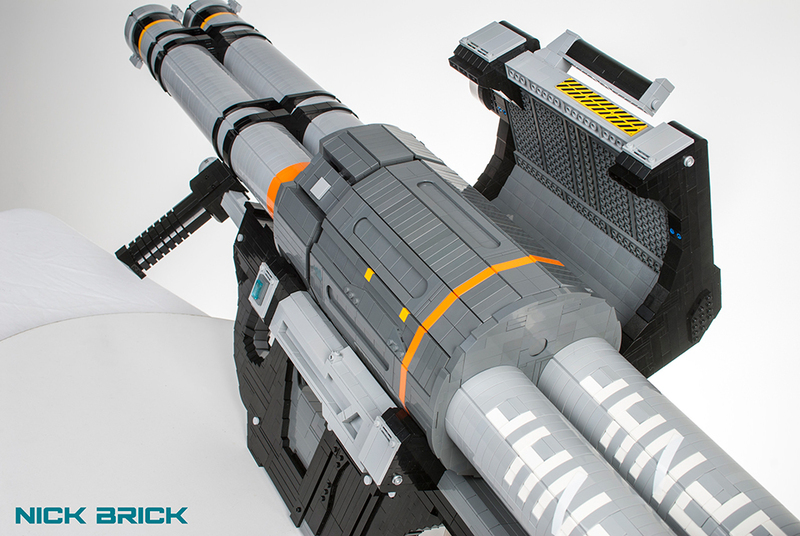 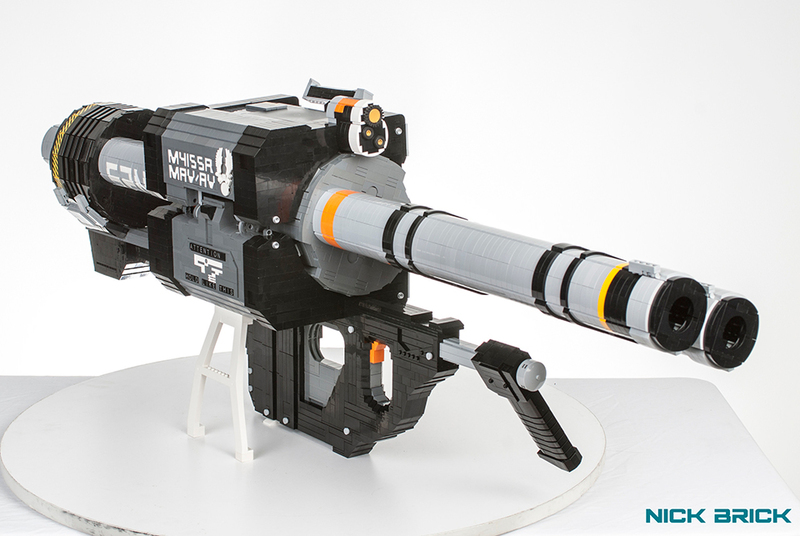 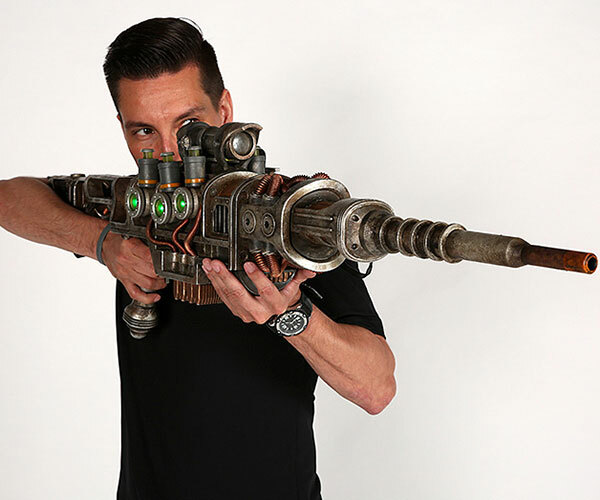 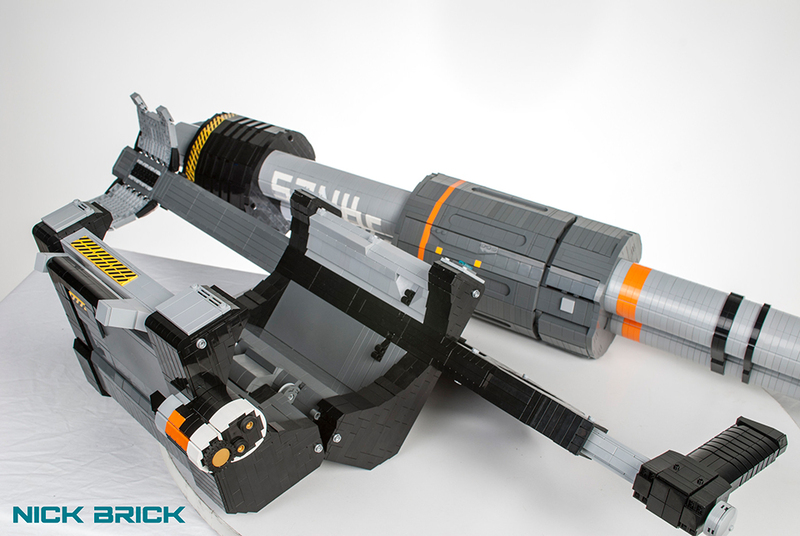 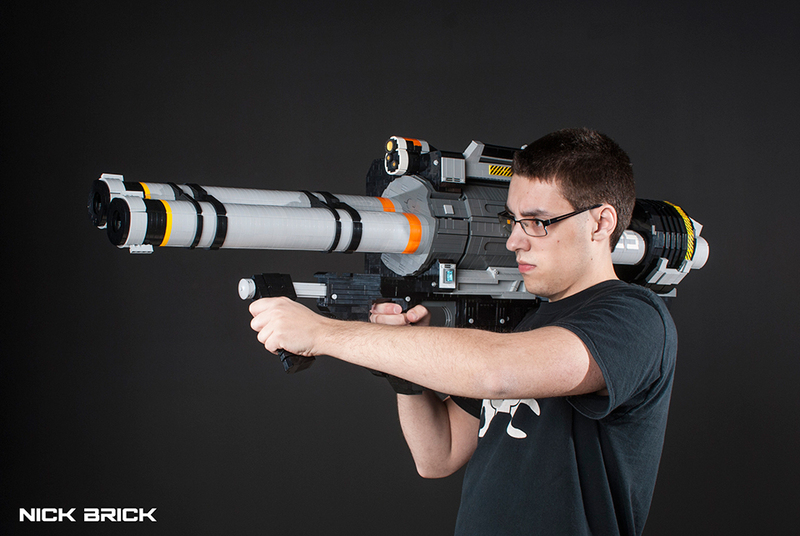 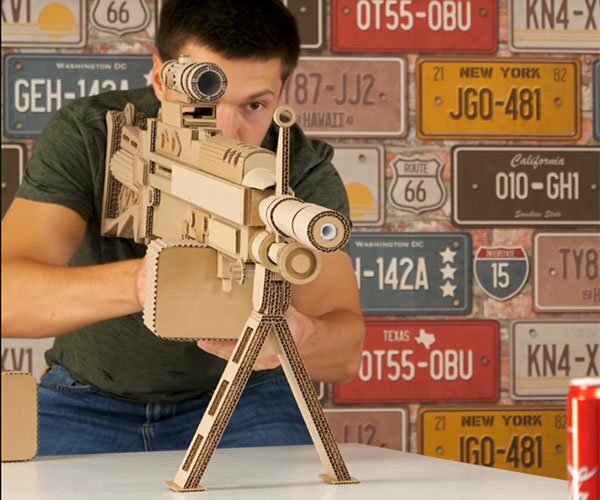 LEGO enthusiast Nick Brick made an incredible life-size version of the M41 SPNKR, the classic rocket launcher from the Halo series. 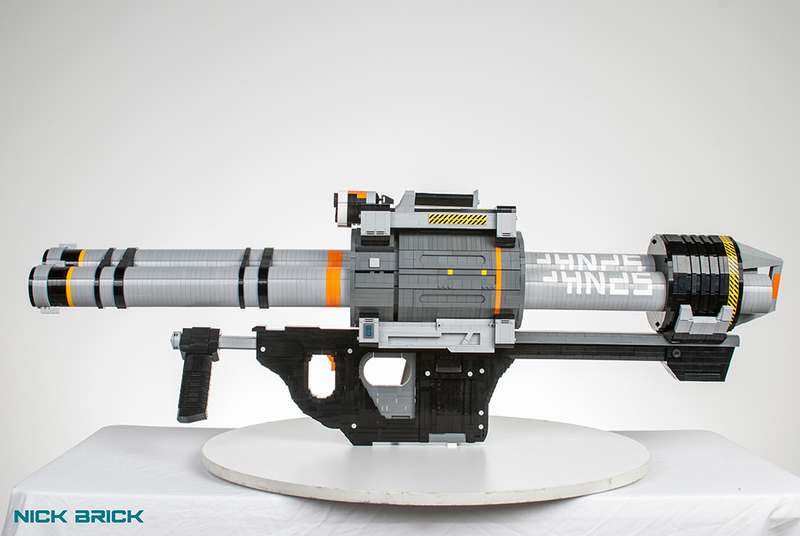 It’s 50.5″ long, weighs 24lb and is made of about 6,000 LEGO pieces. 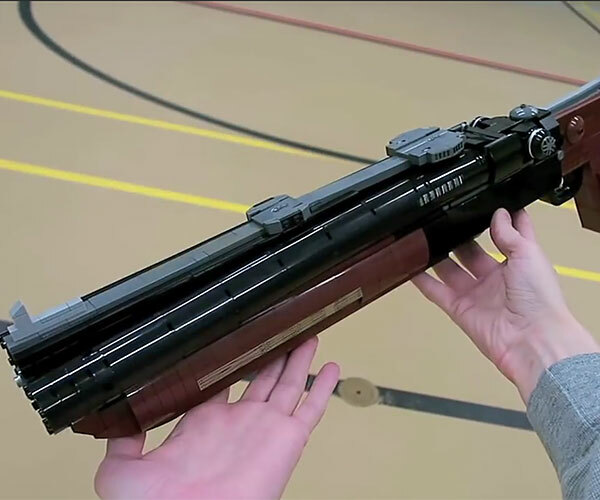 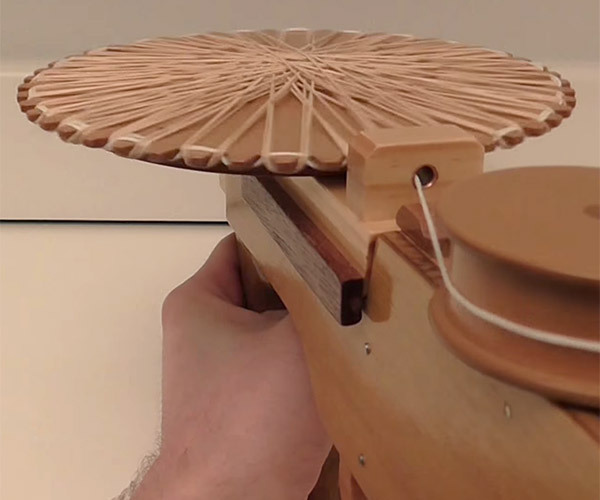 Its double barrel unit is detachable, just like in the games.